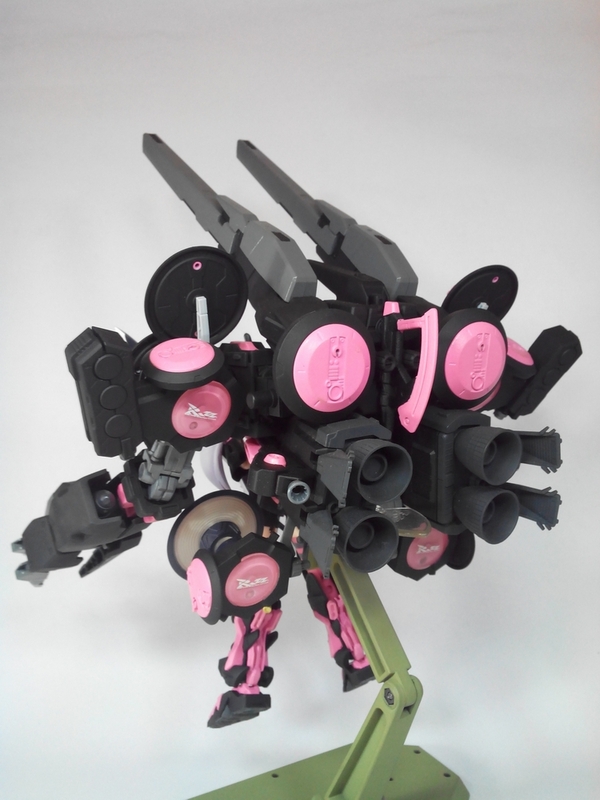 Great mods! 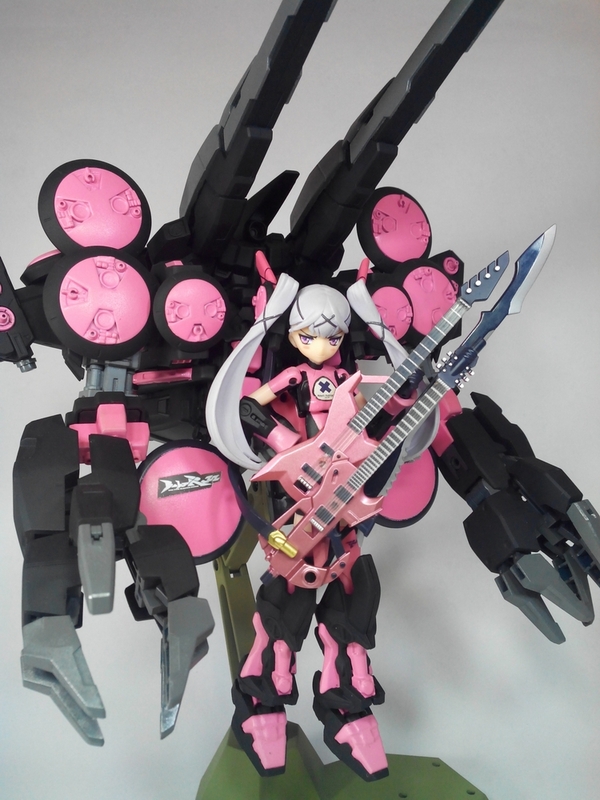 I love Rina's mods the most. 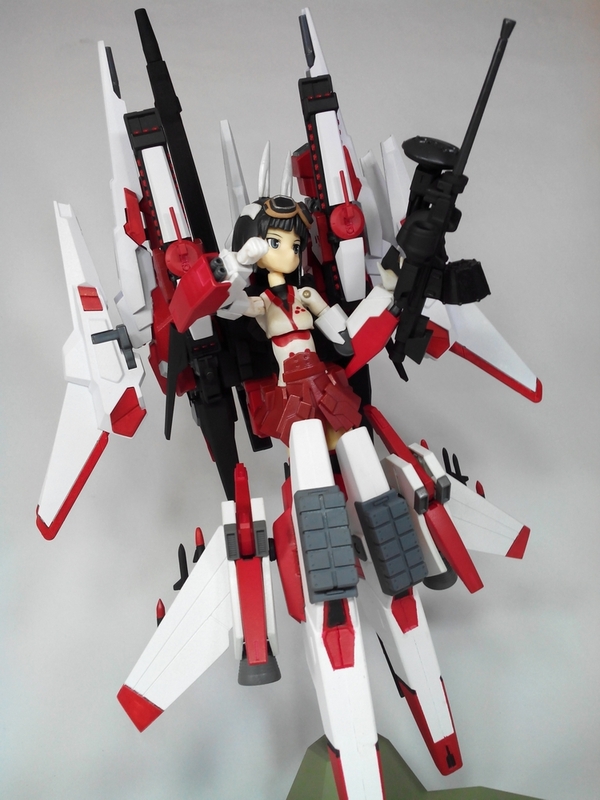 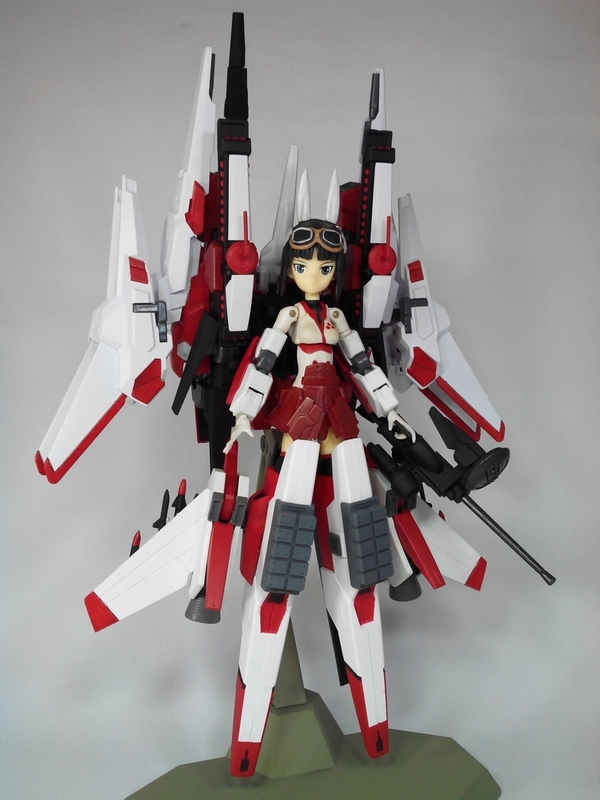 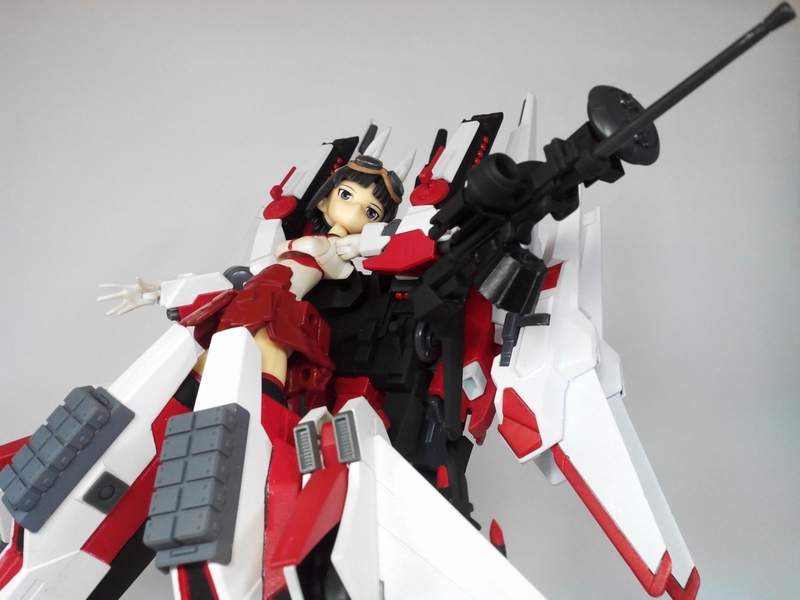 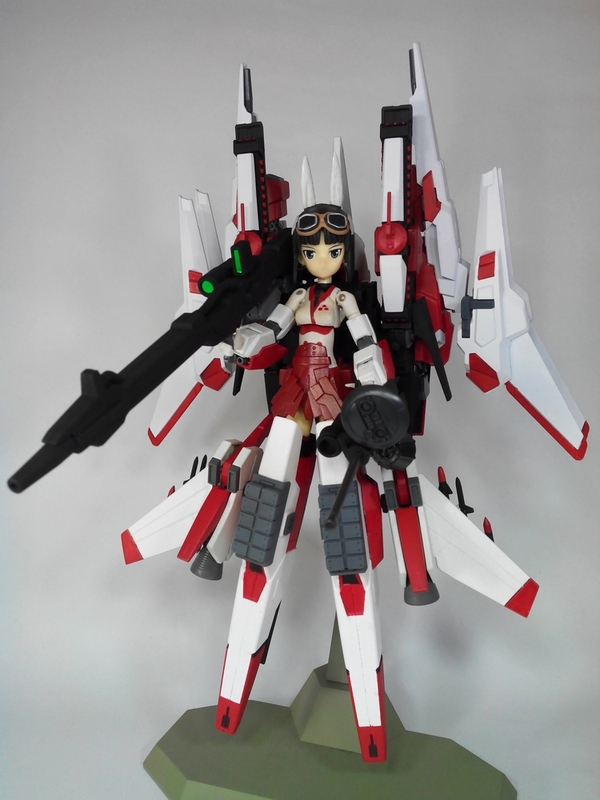 Always call on Yuuko for air superiority! 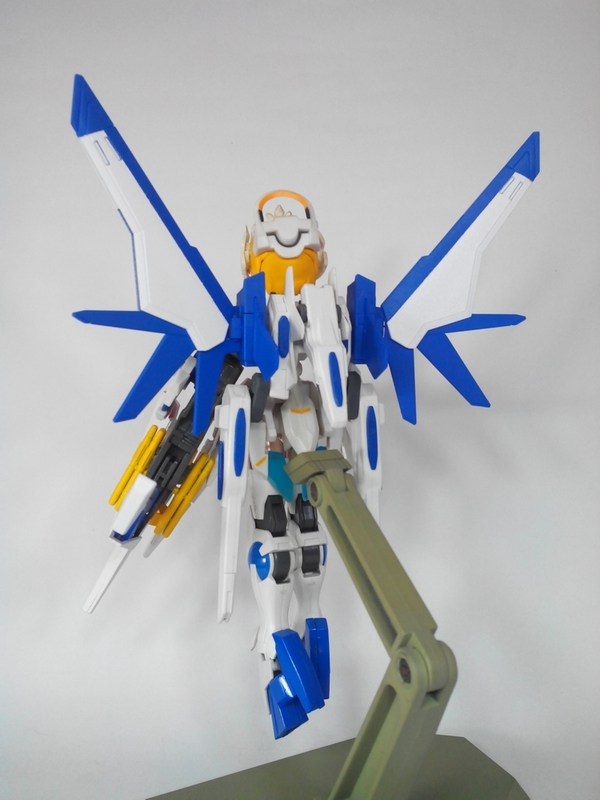 Also, photoshoot delays brought to you by Pokemon Go! 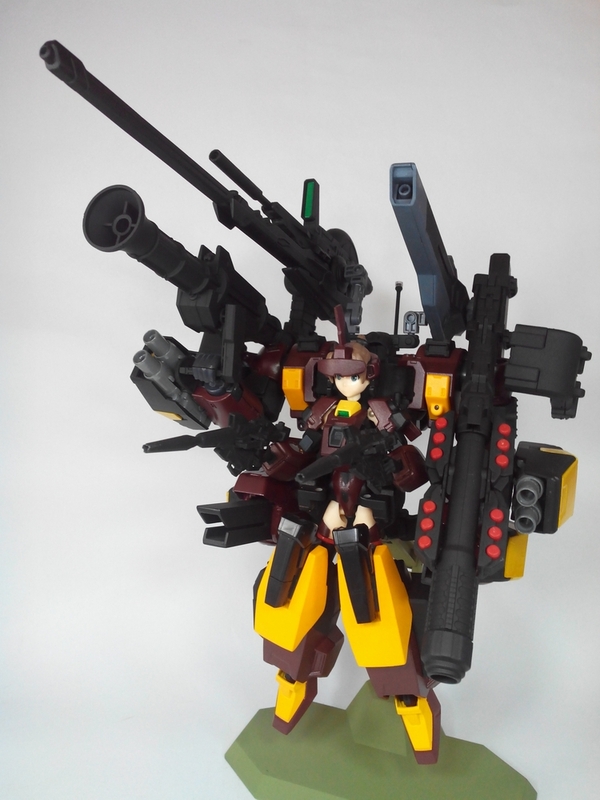 Guns, cannon, missiles, bombs... Rui has 'em! 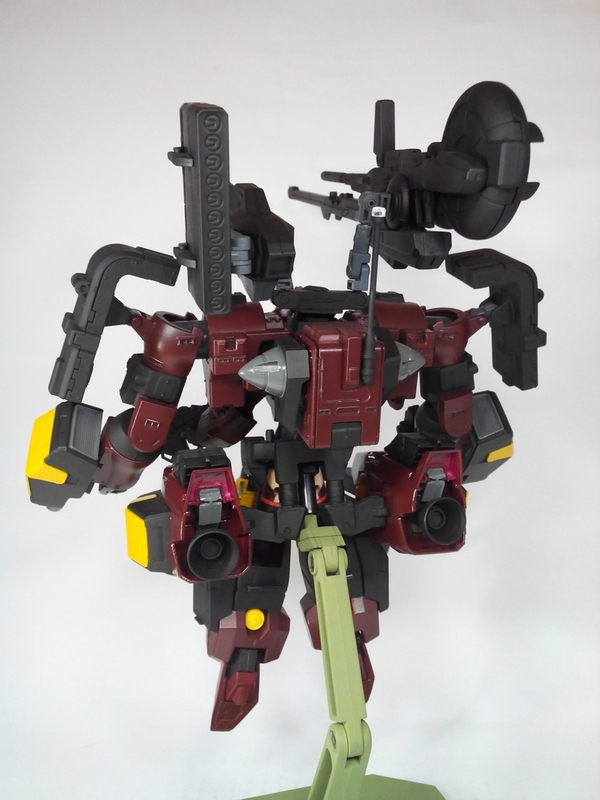 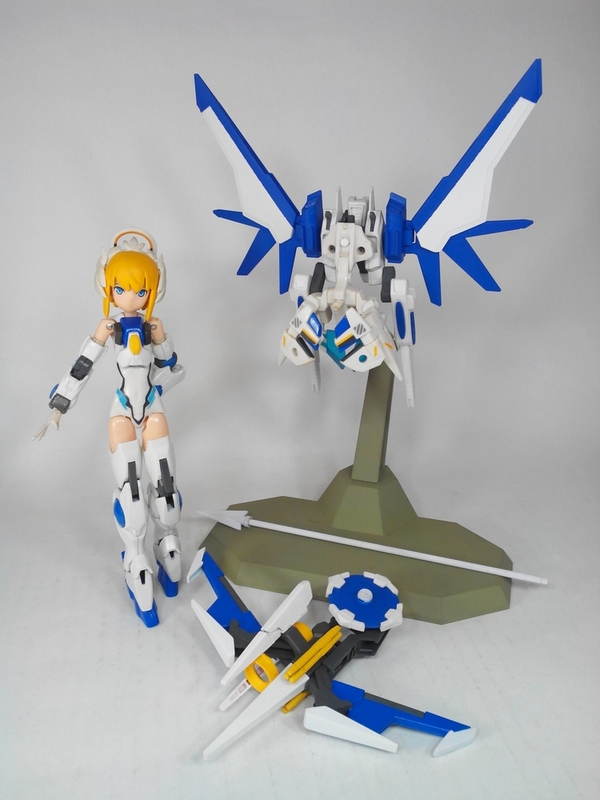 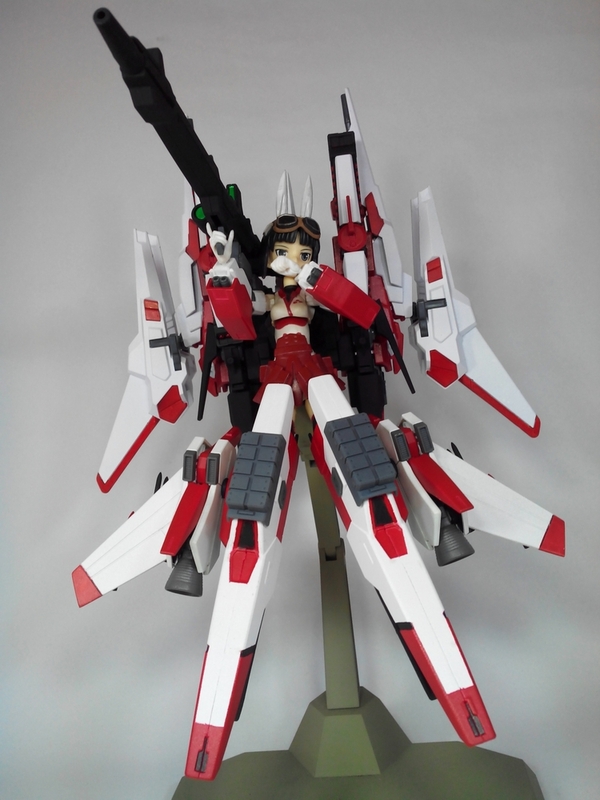 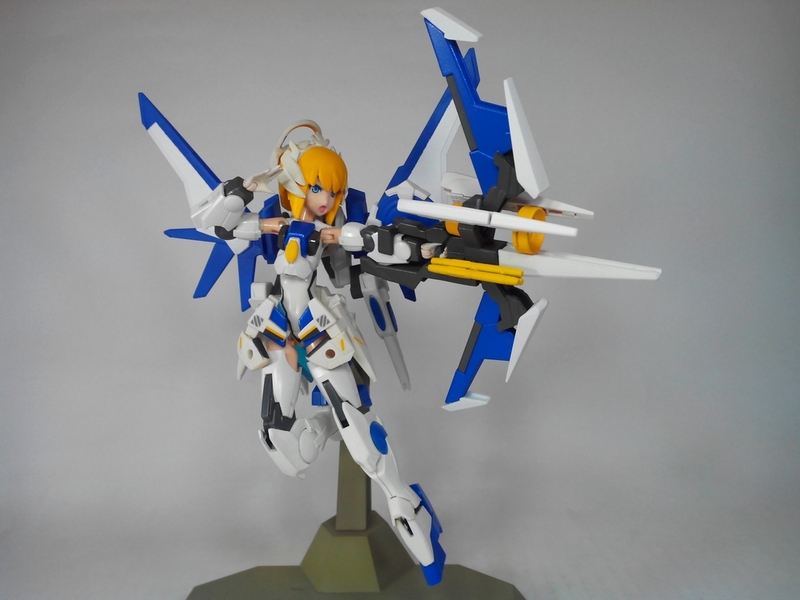 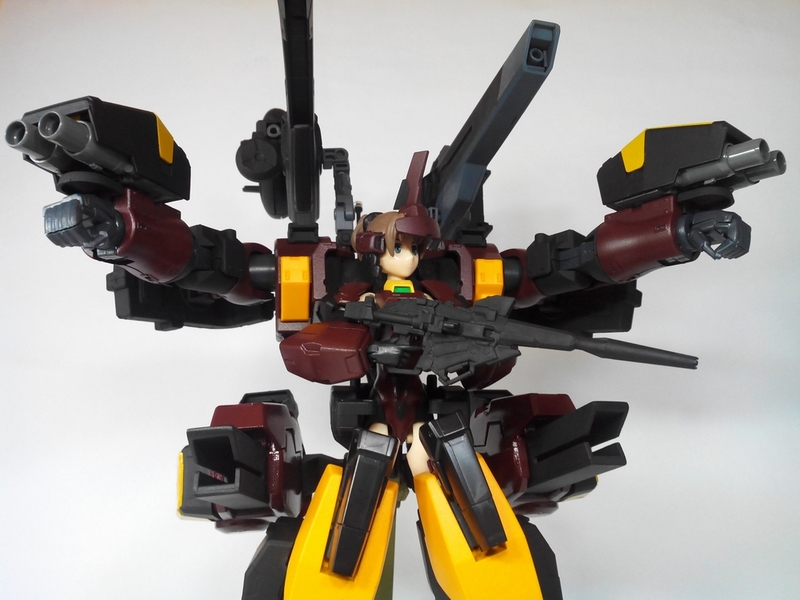 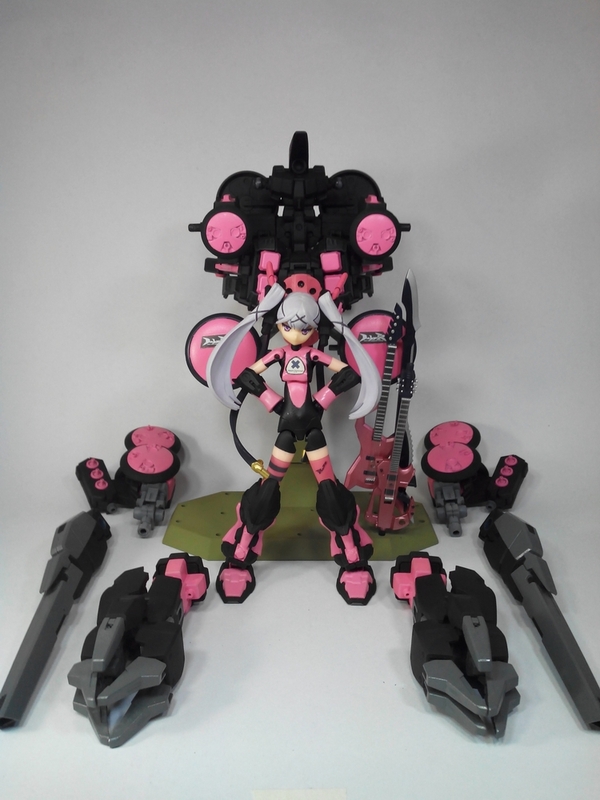 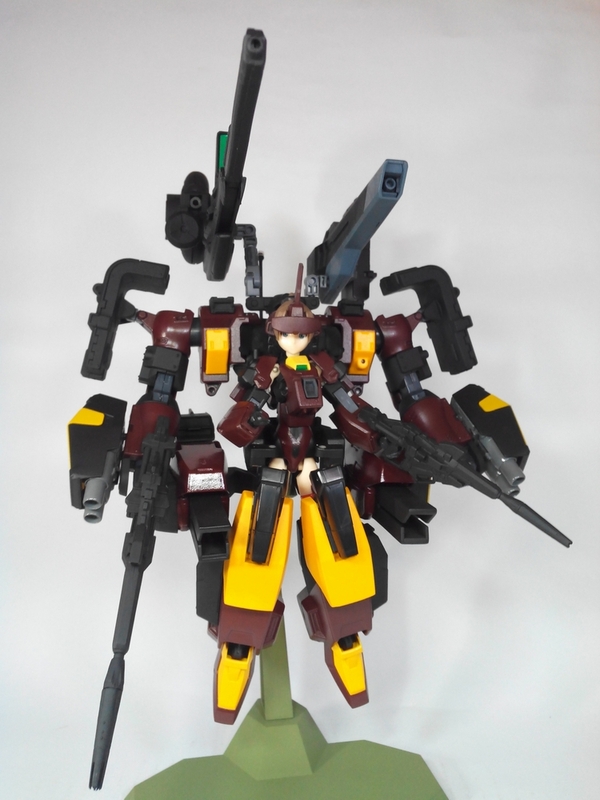 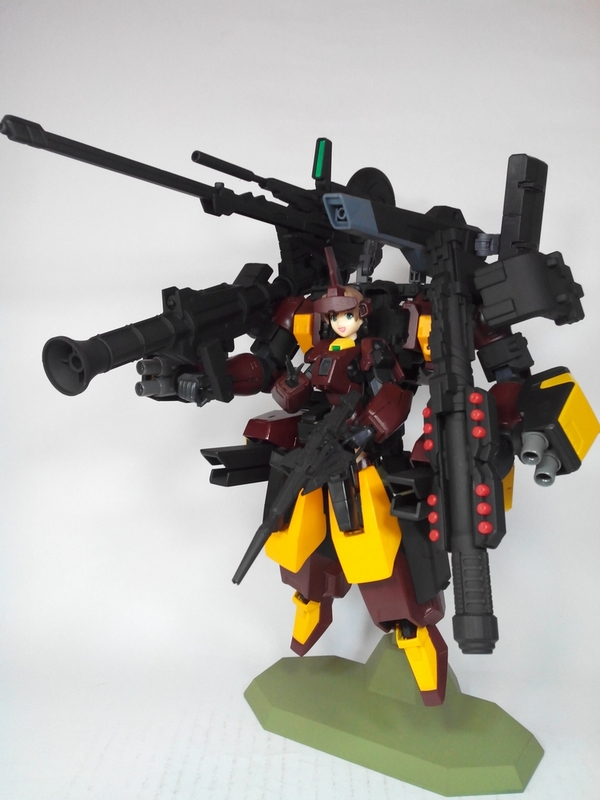 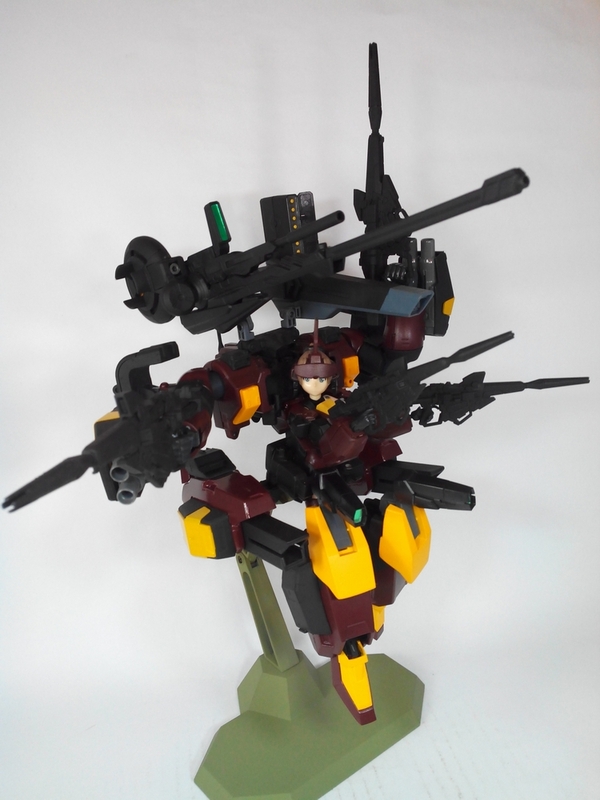 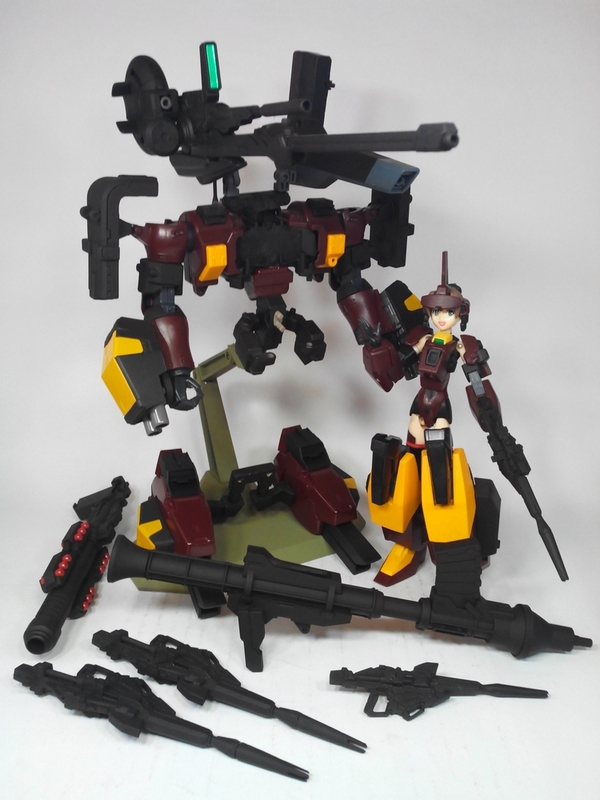 I like the use of both HG and MG Unicorn rifles on Rui. 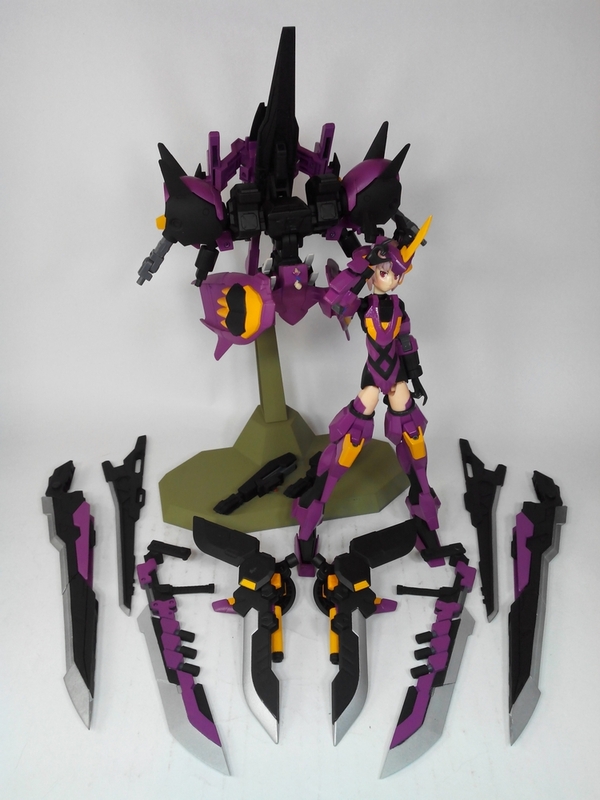 How many kits did she have to raid to get all four? 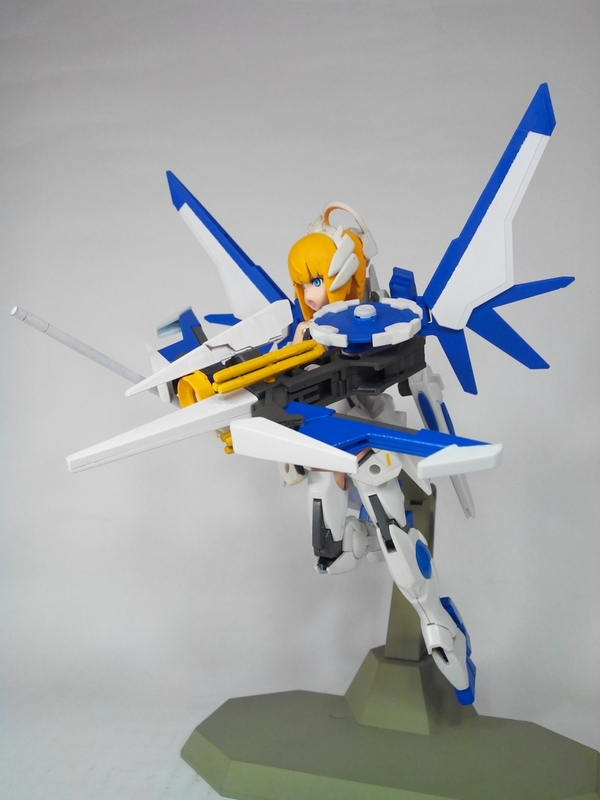 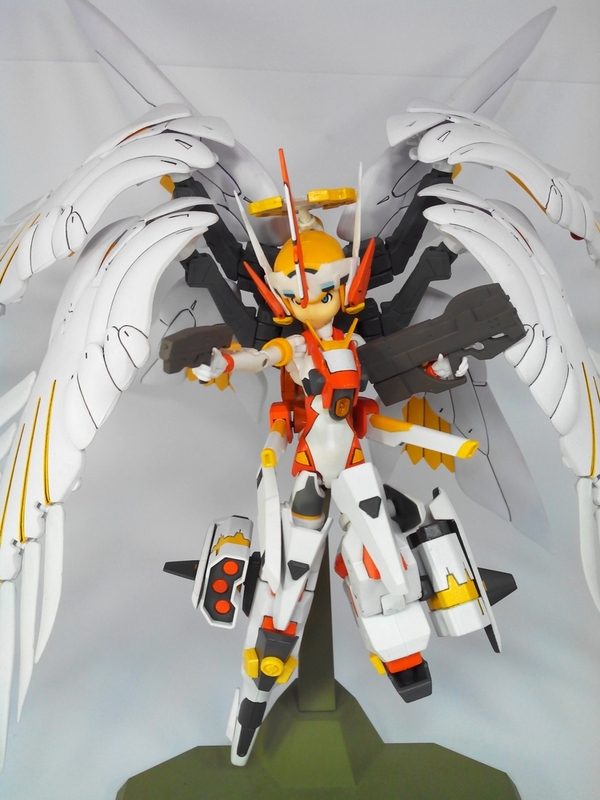 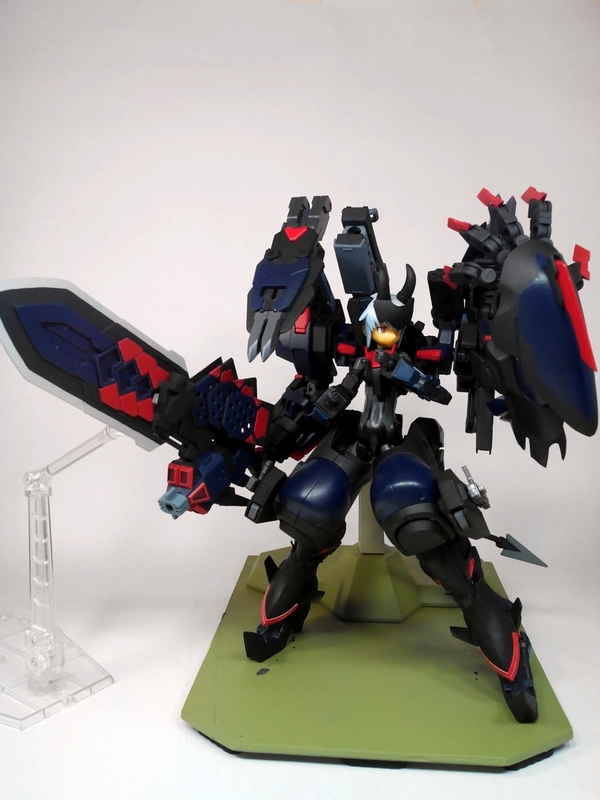 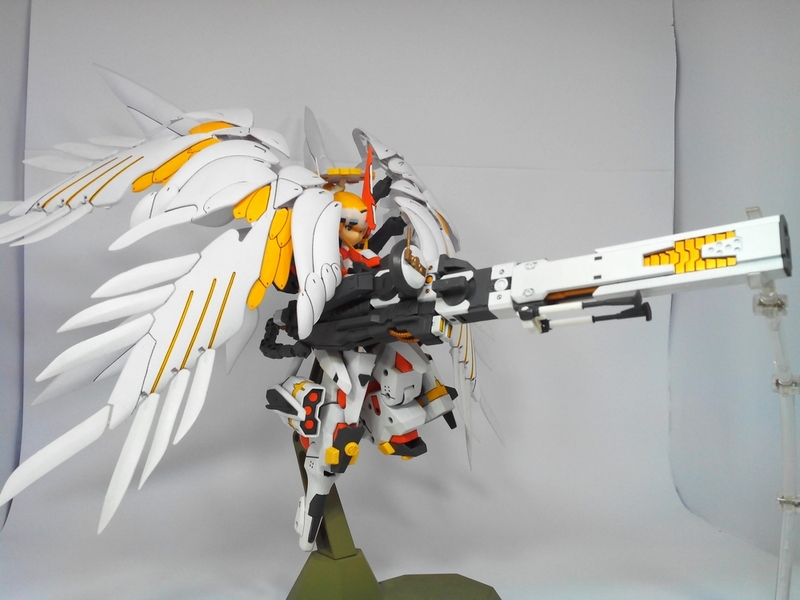 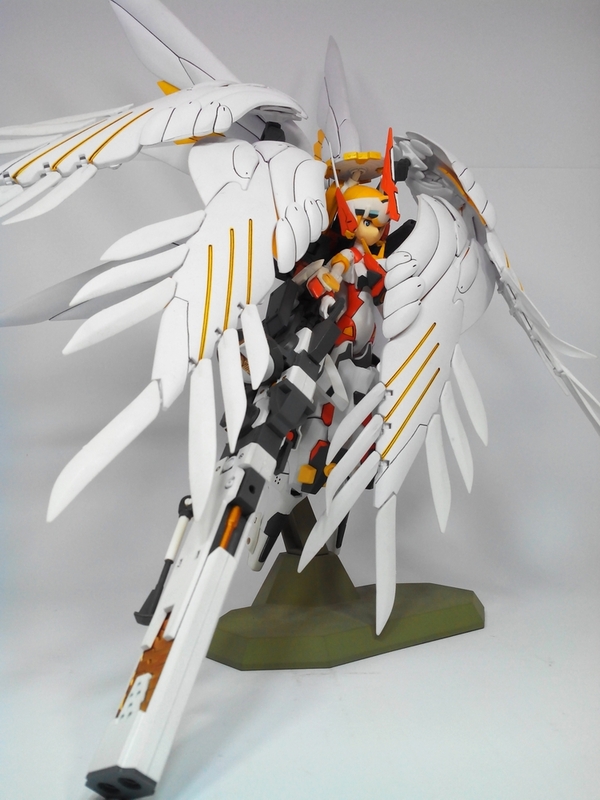 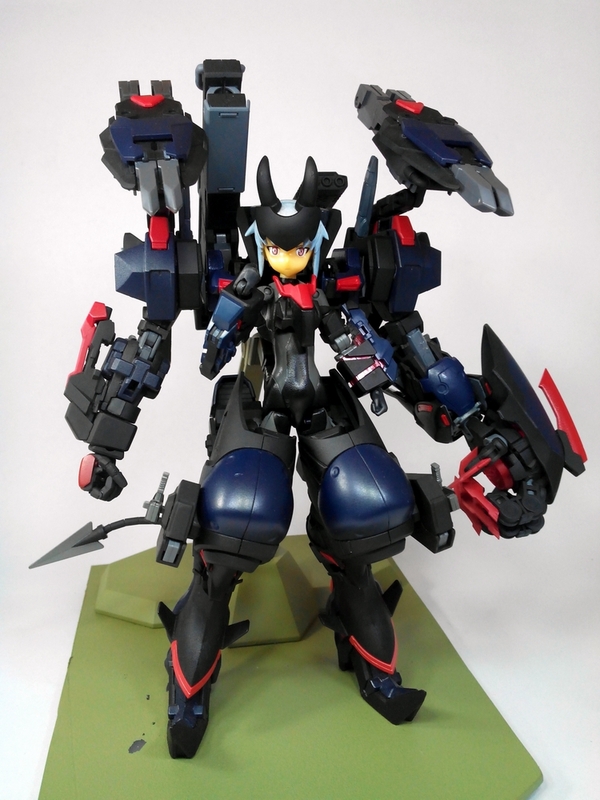 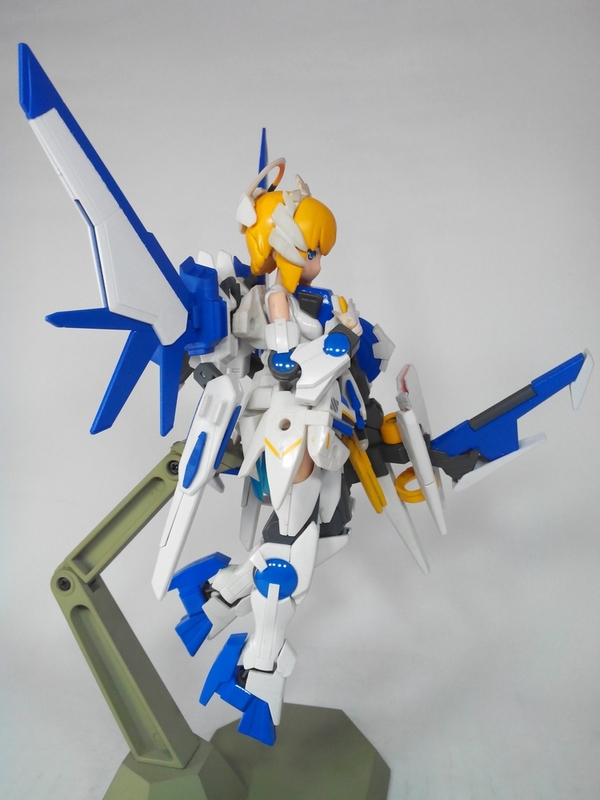 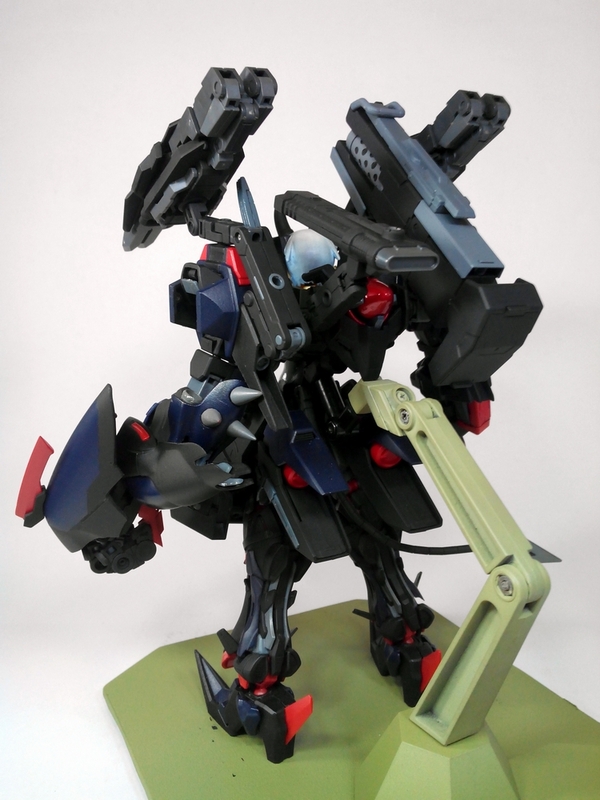 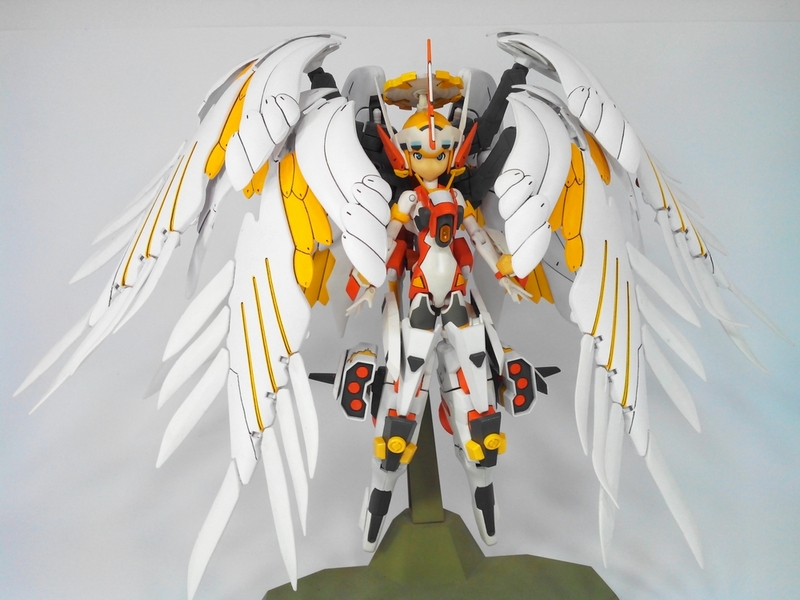 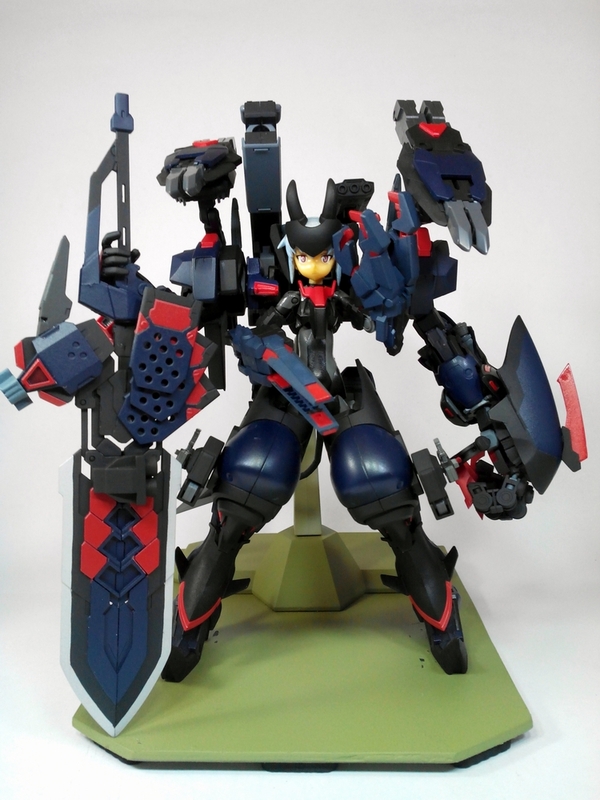 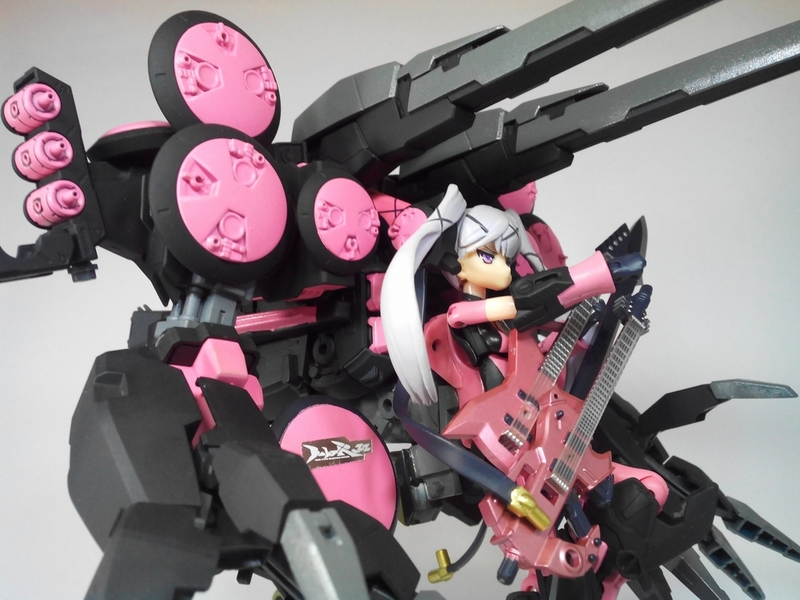 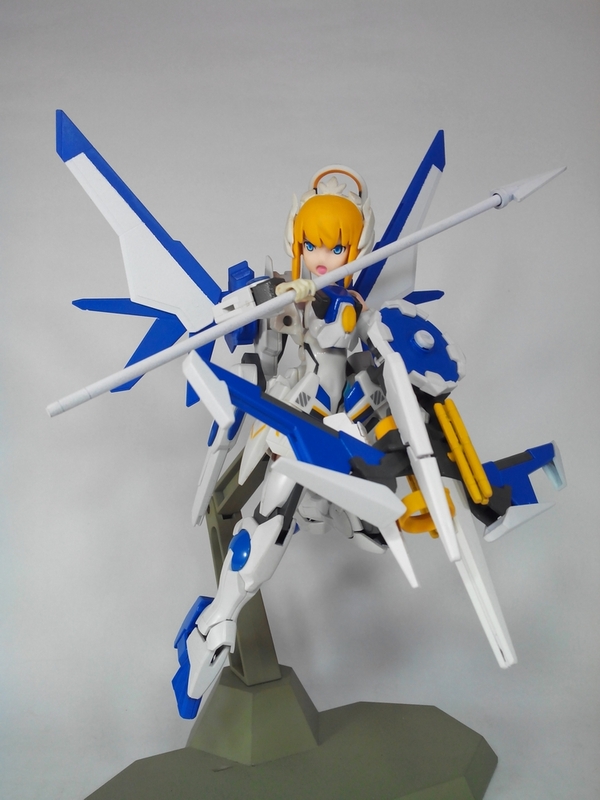 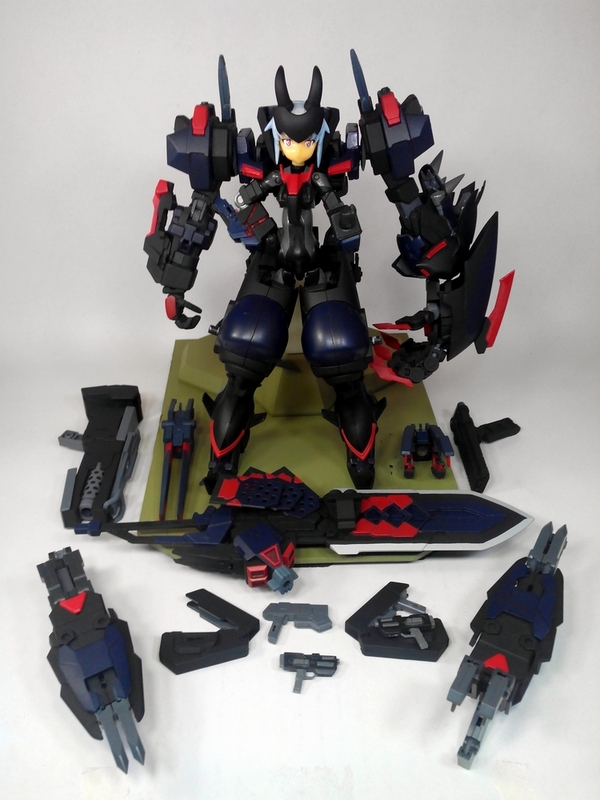 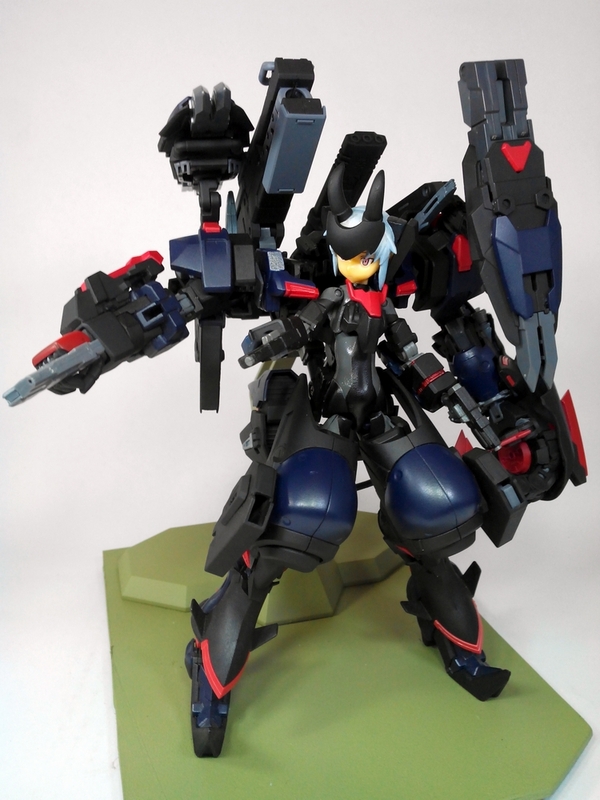 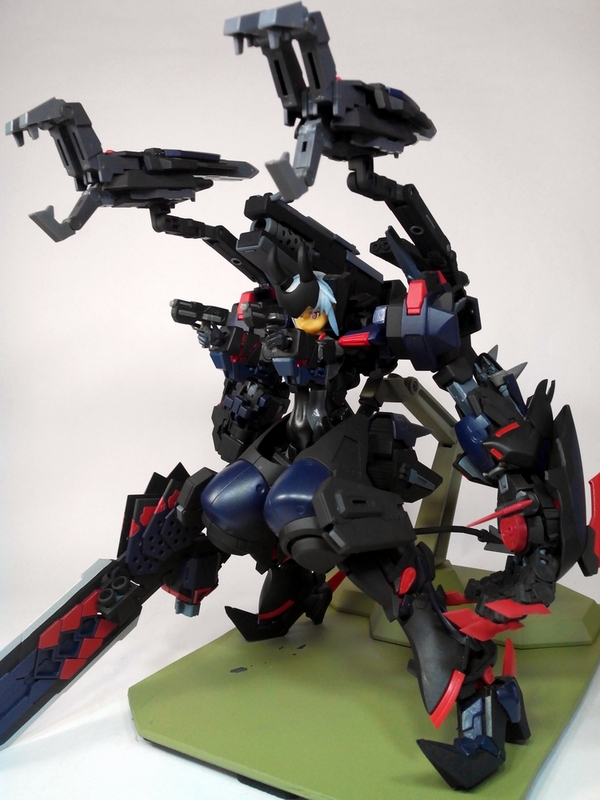 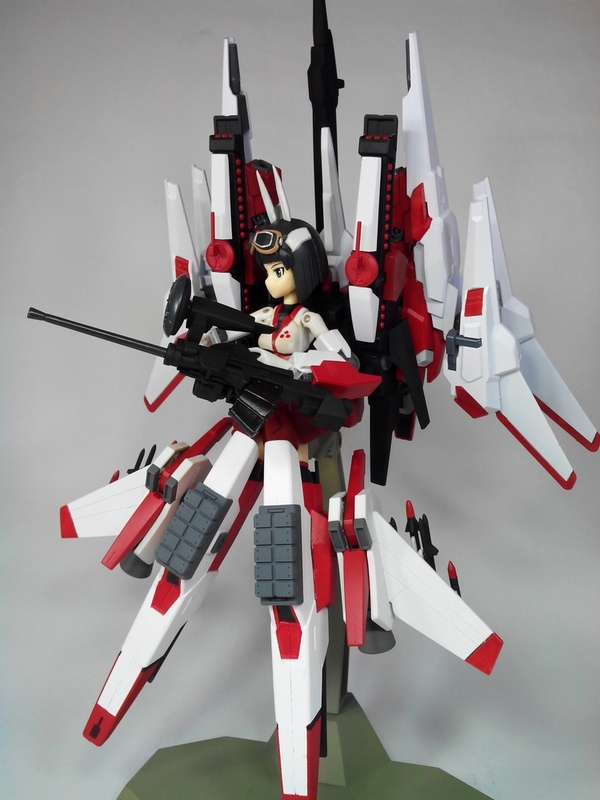 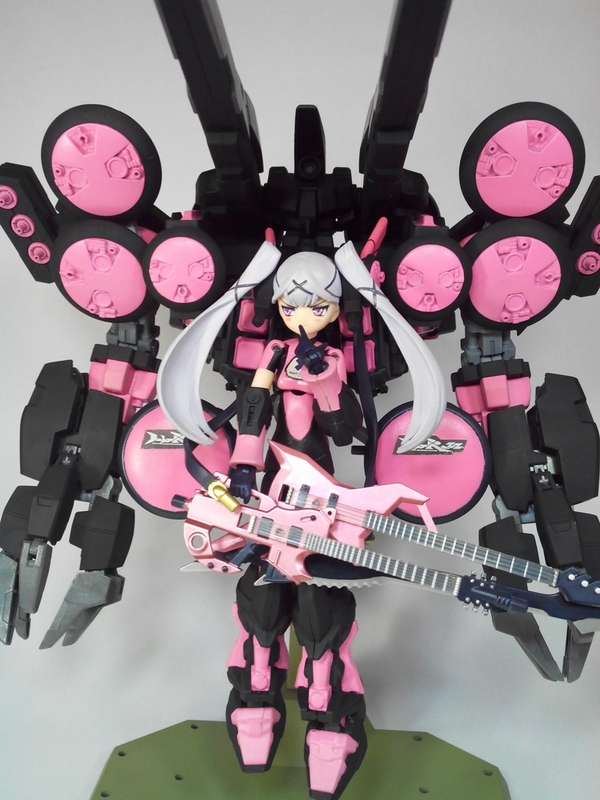 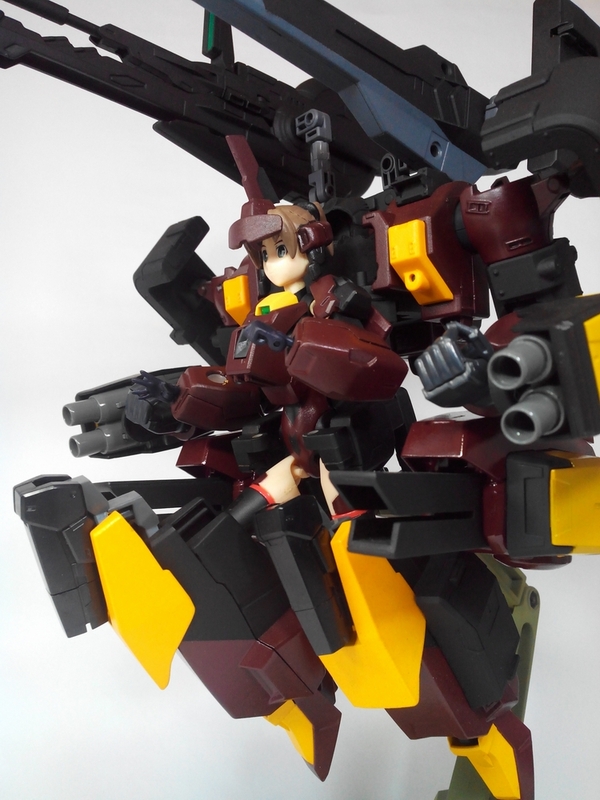 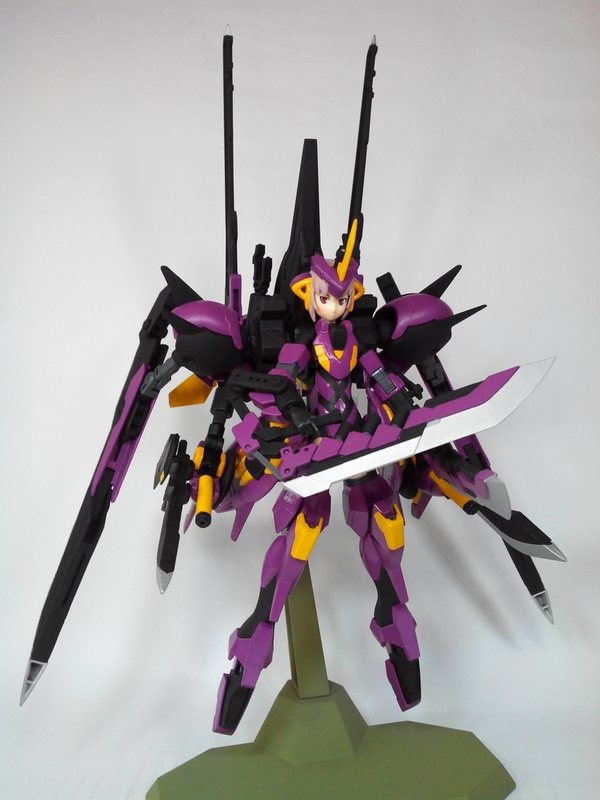 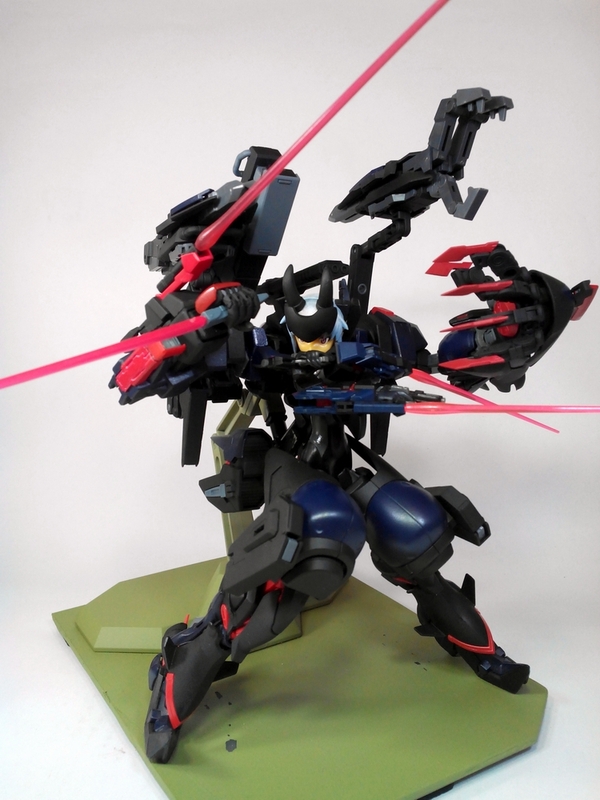 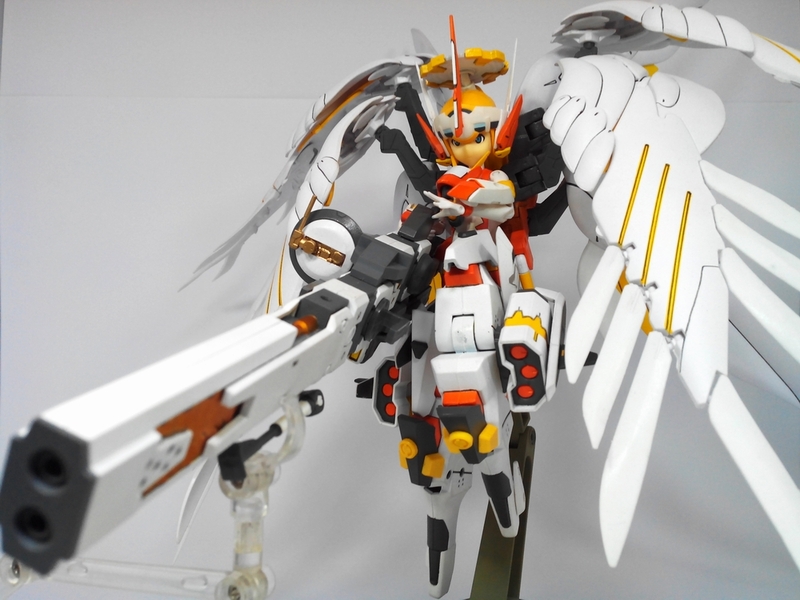 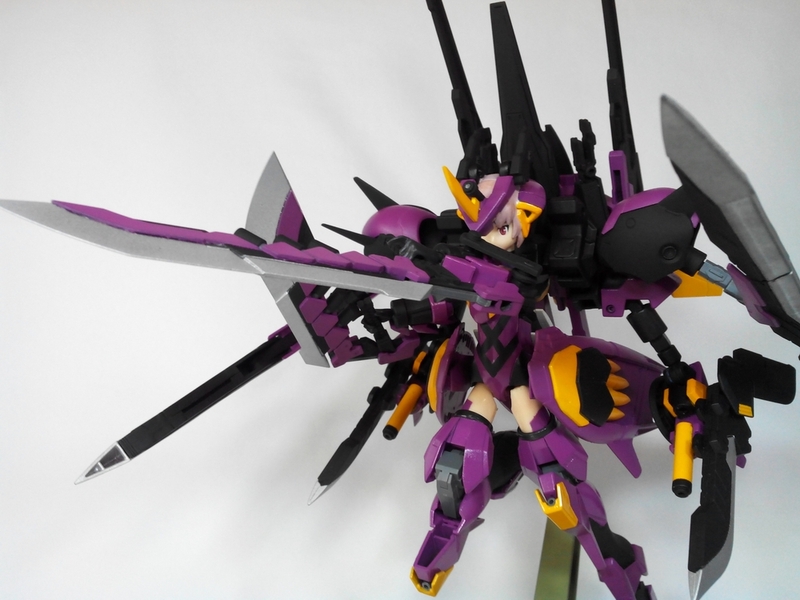 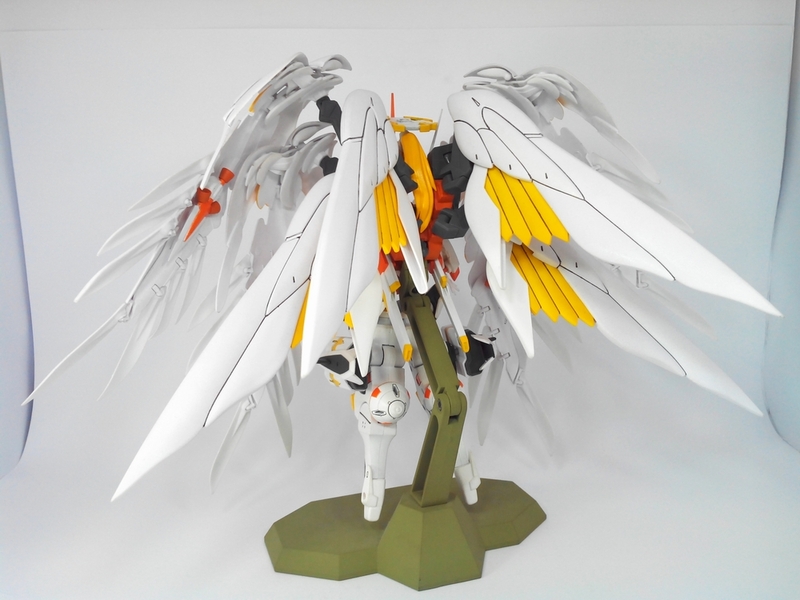 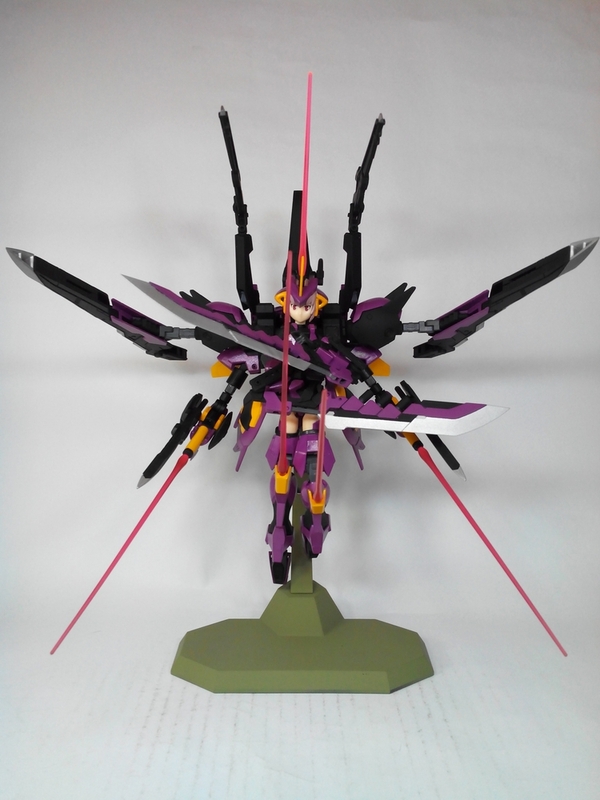 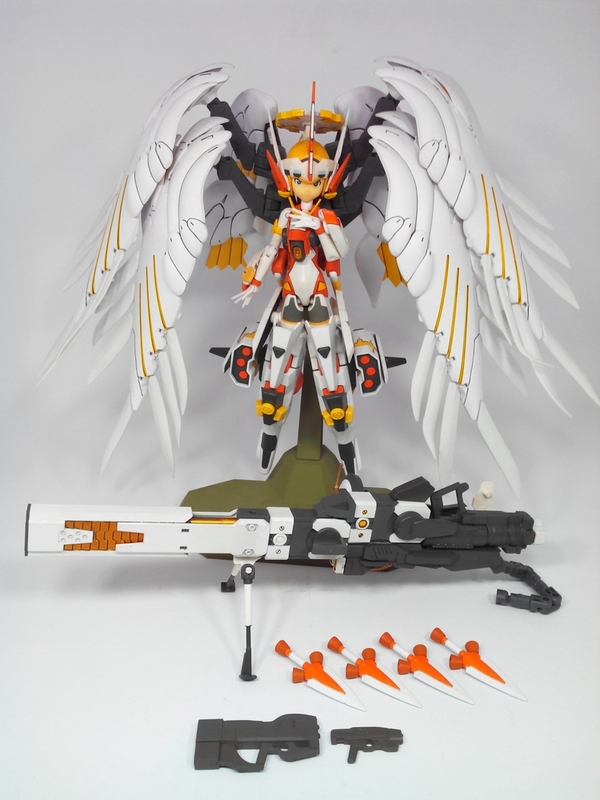 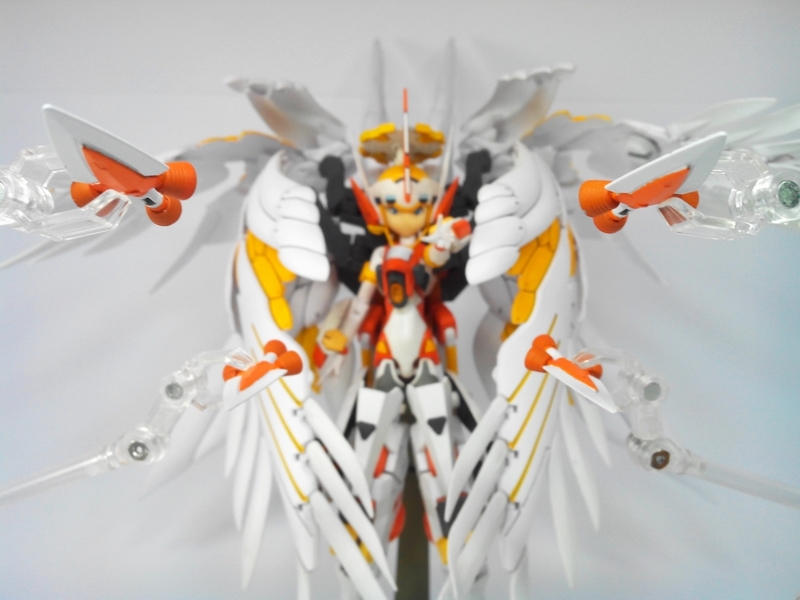 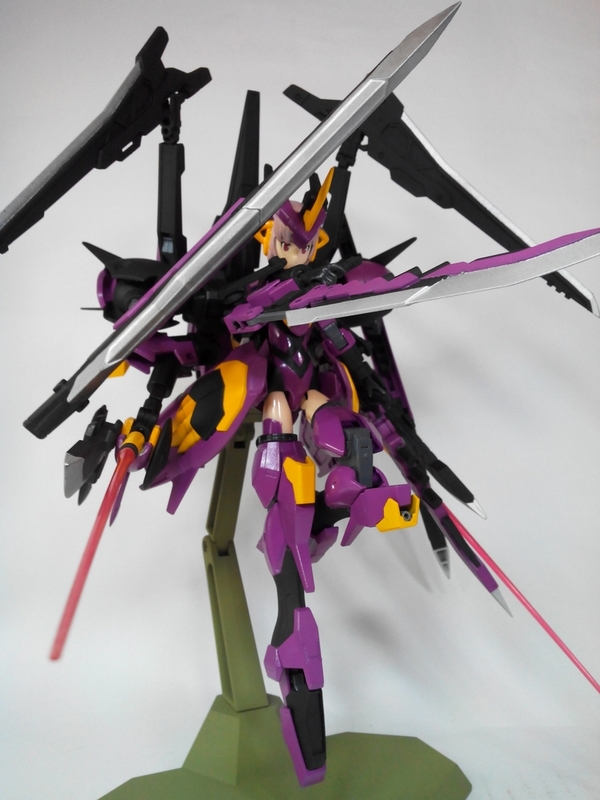 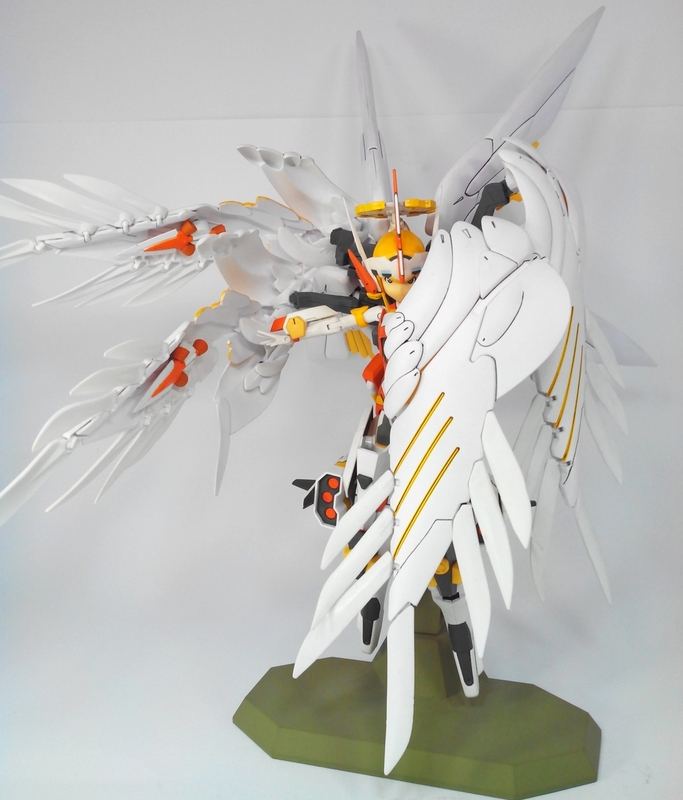 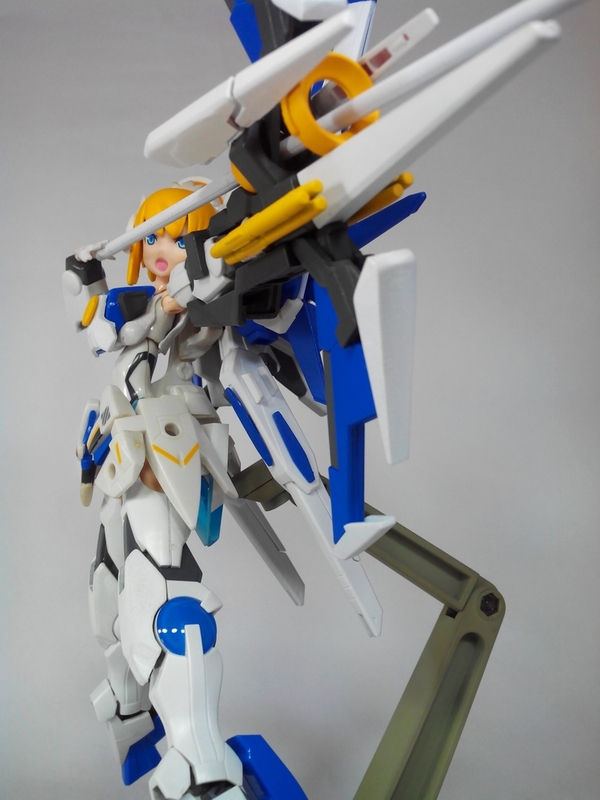 Klinkin wrote: I like the use of both HG and MG Unicorn rifles on Rui. 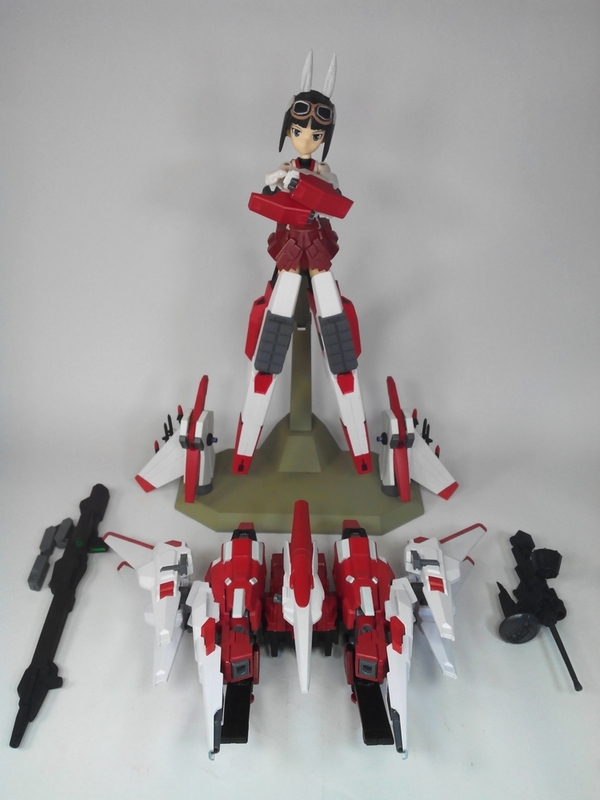 How many kits did she have to raid to get all four? 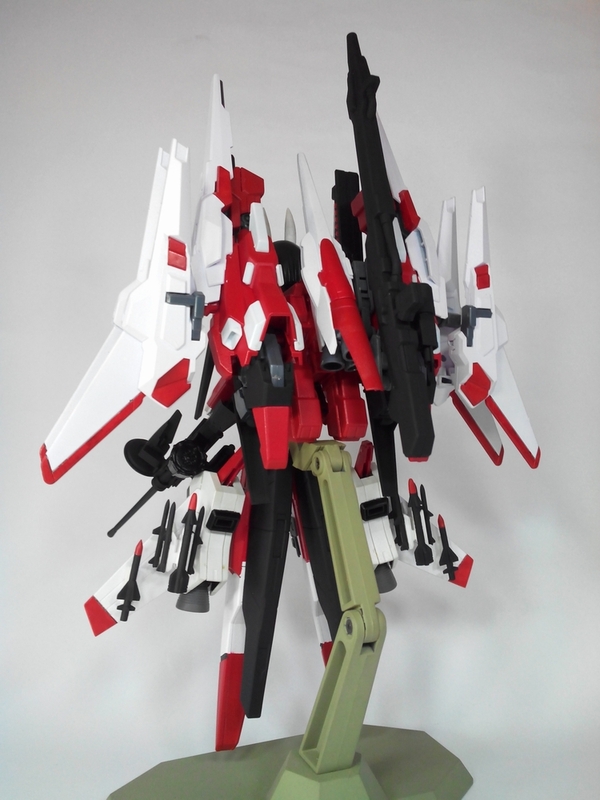 A pair from 1/144 (1 each from Unicorn Destroy Mode and Unicorn Banshee) and another pair from MG 1/100 (Full Armor Unicorn). 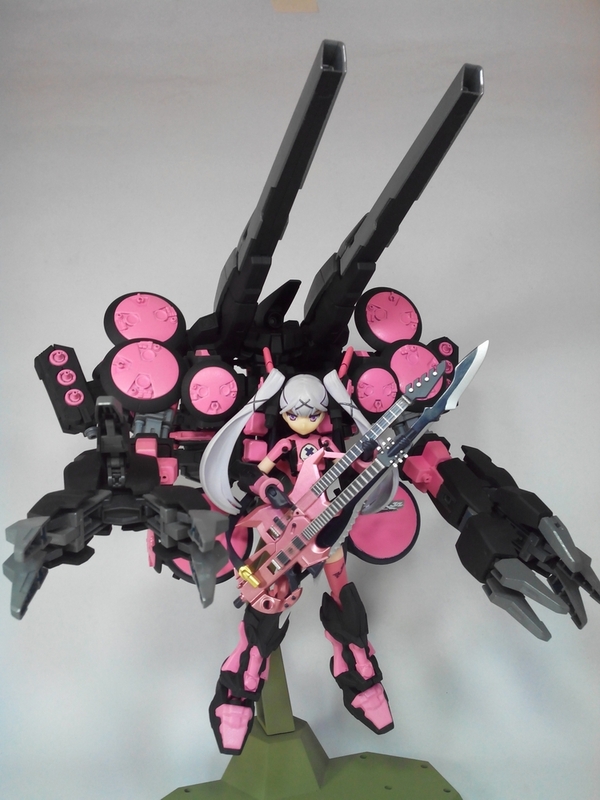 Ayu being cute and pink... and loud! 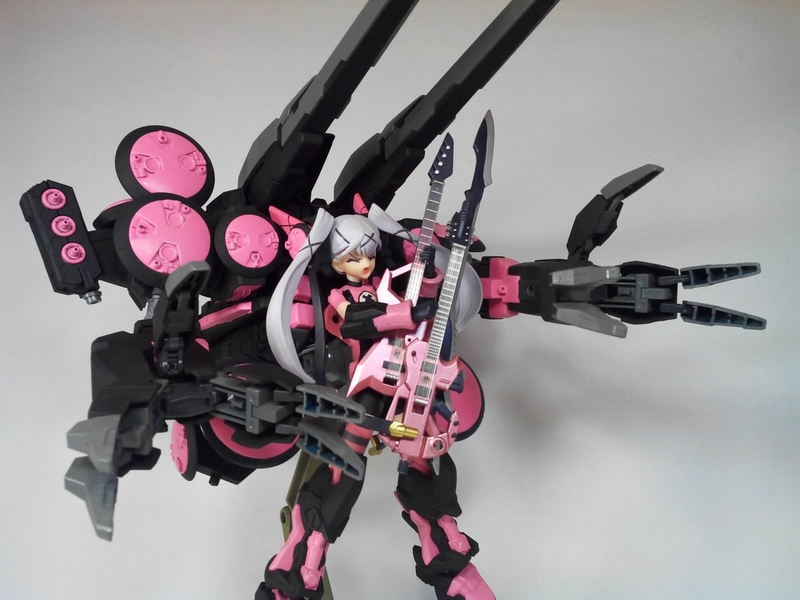 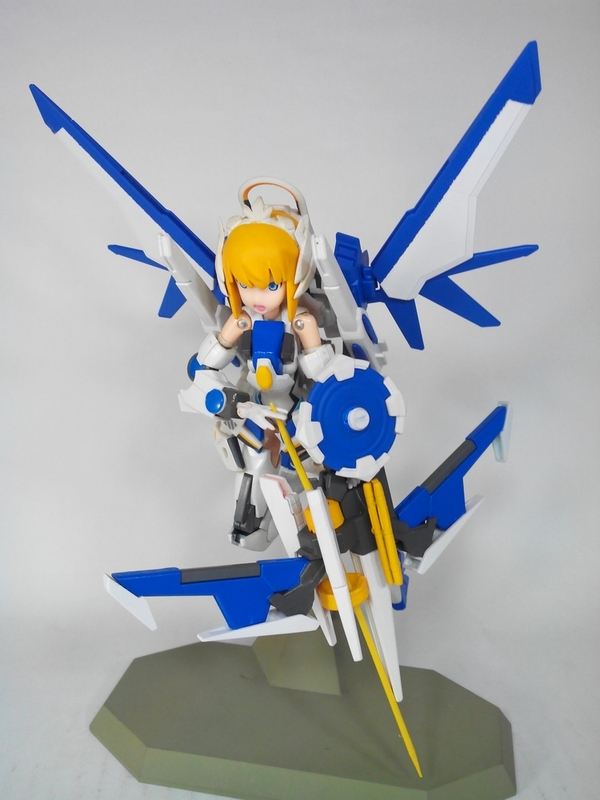 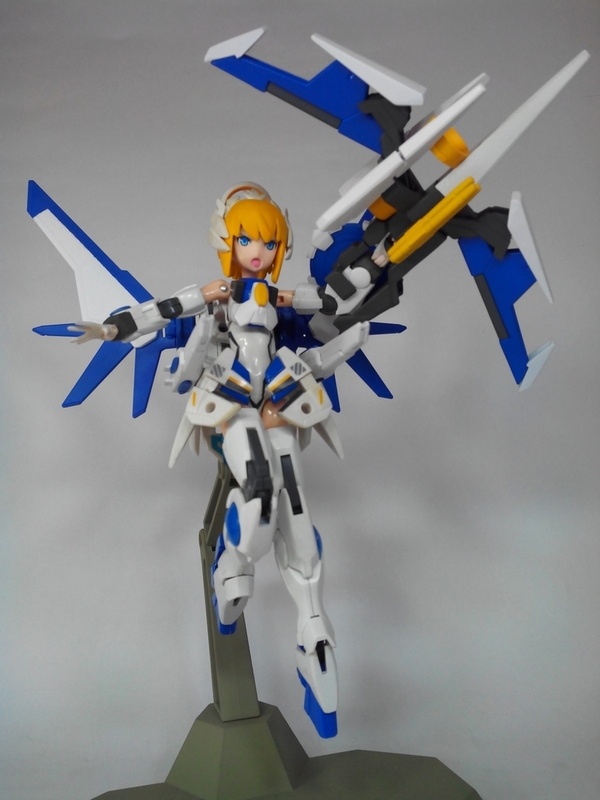 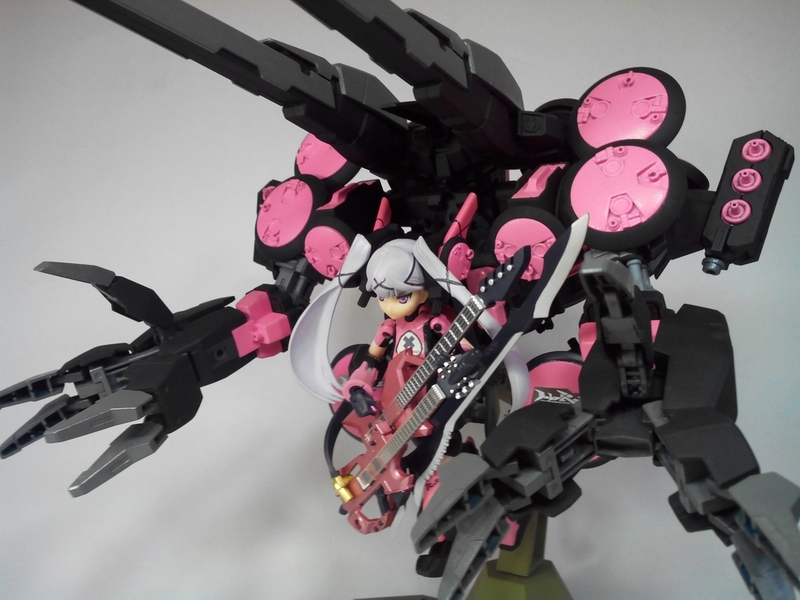 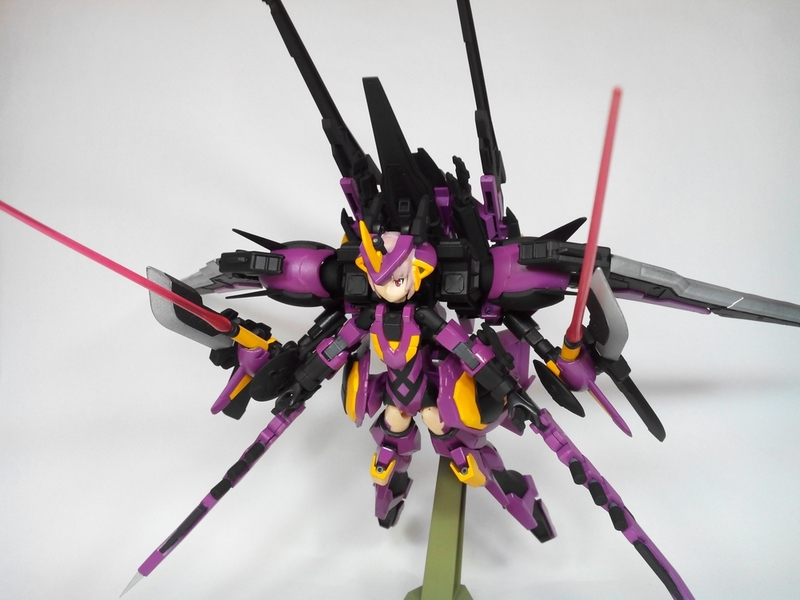 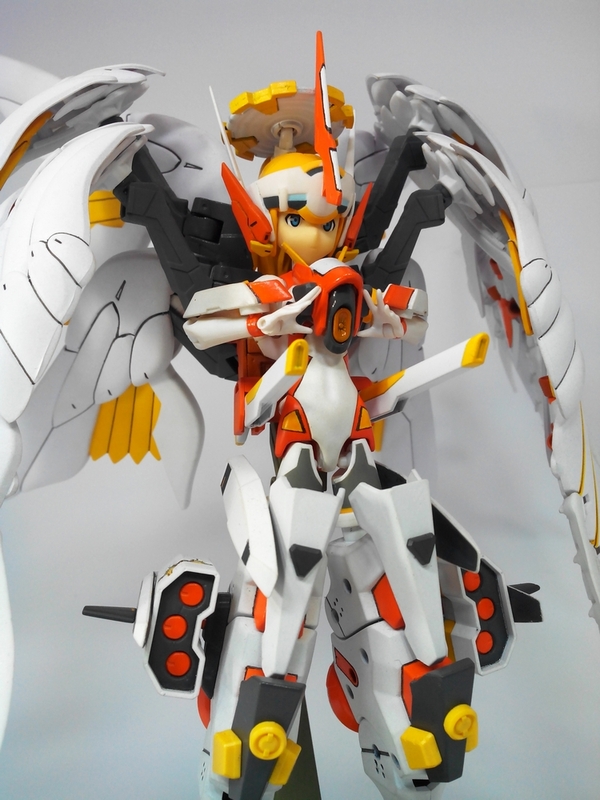 I also have a new custom Frame Arms Girl - Jinrai, and I've named her Suzune. 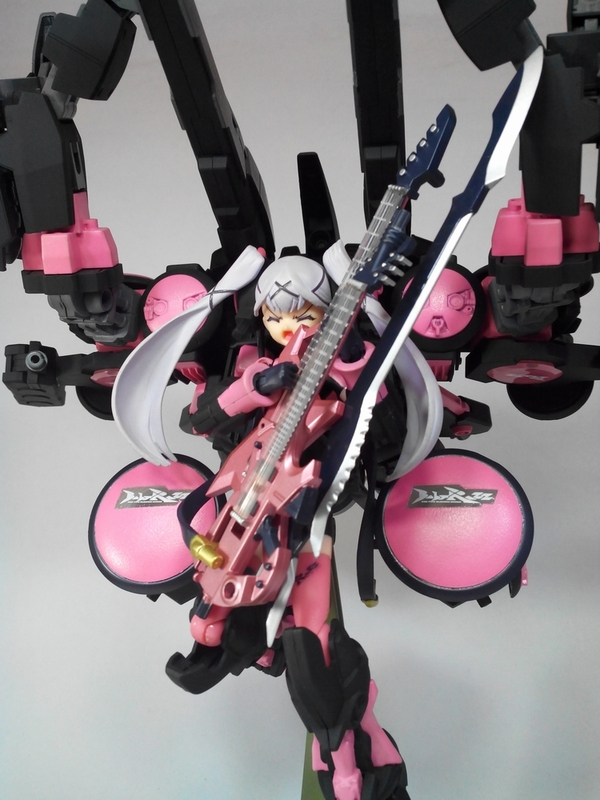 Oh, and I'm going to post all related pics on the Frame Arms Girl thread from now on, along with news and stuffs. 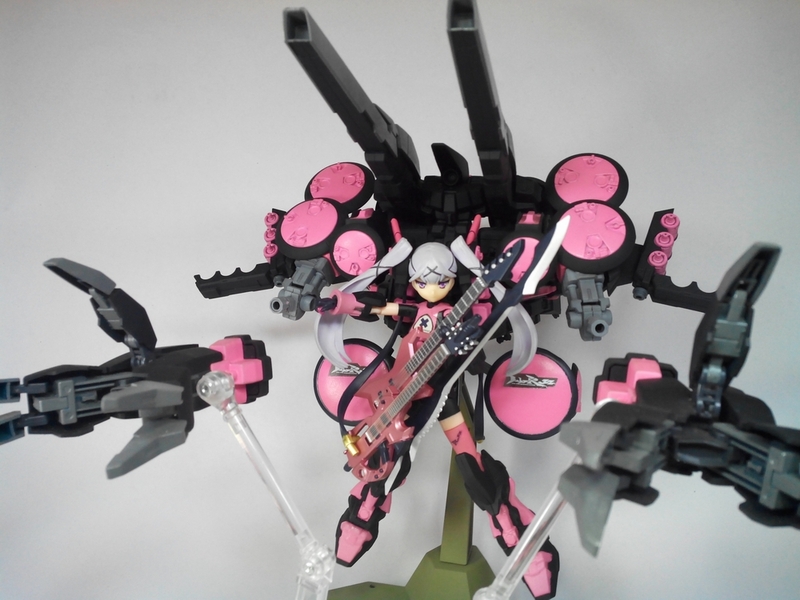 Here's Noire with better gear. 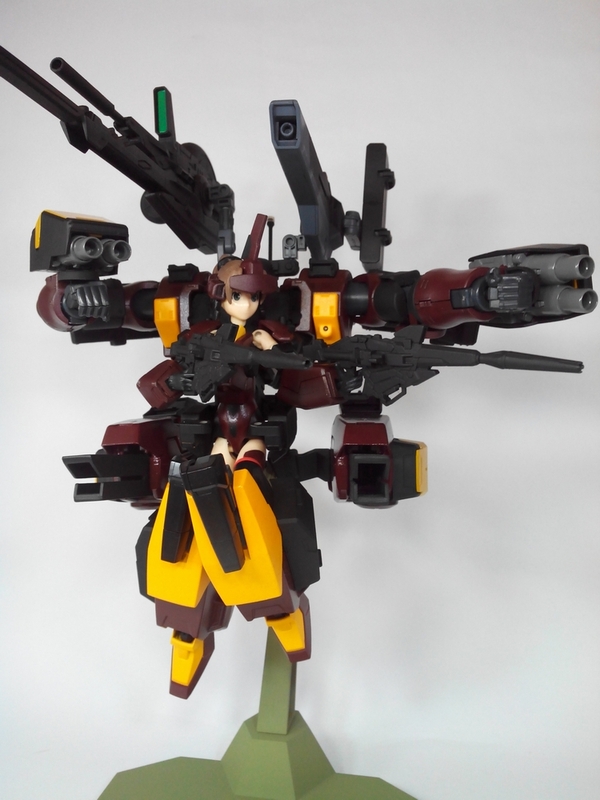 Ditched the modded Exia GN Sword and katanas for a god arc-inspired gun-sword and back-mounted firepower. 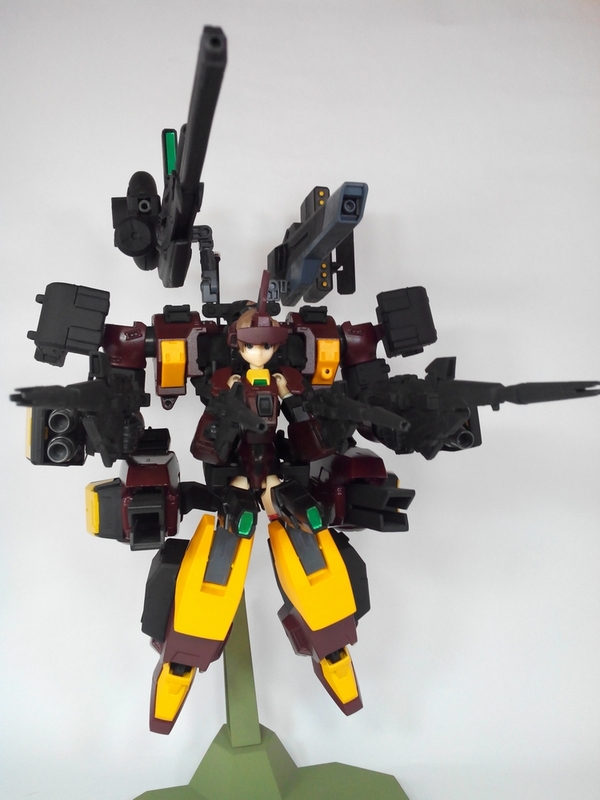 Your mods are all so good! 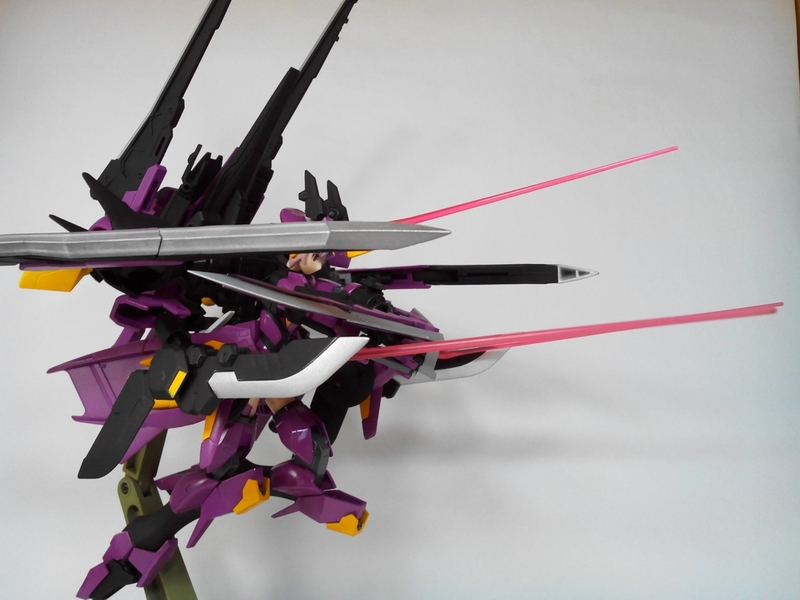 So does that modified Unite Sword actually have a gun mode? 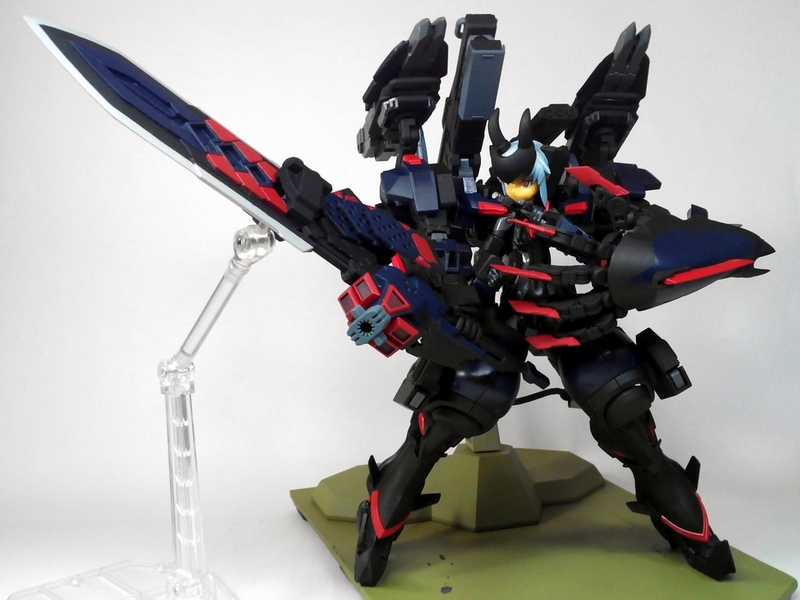 Also, Noire's giant hand is impressive; makes me tempted to get a Balden Arms set to do something similar with an upscale of Eukrante's wrist claws. 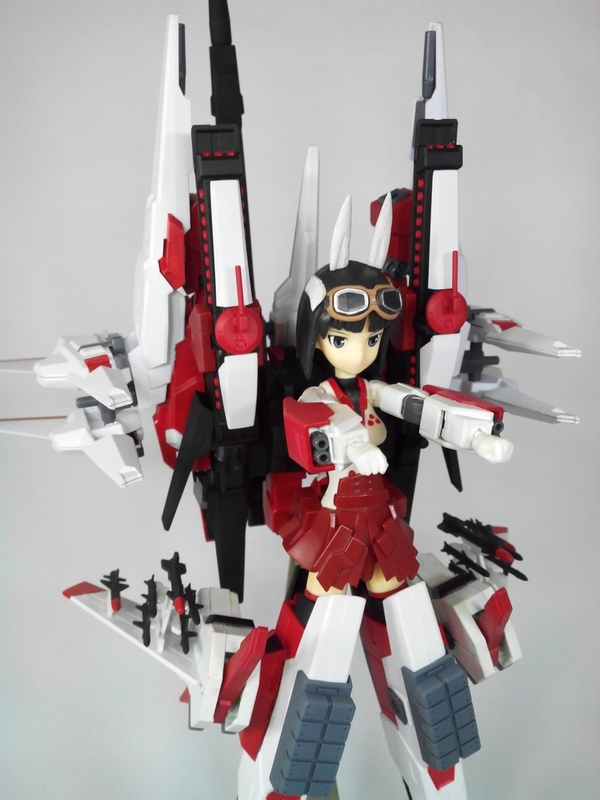 ReinSeiun wrote: Your mods are all so good! 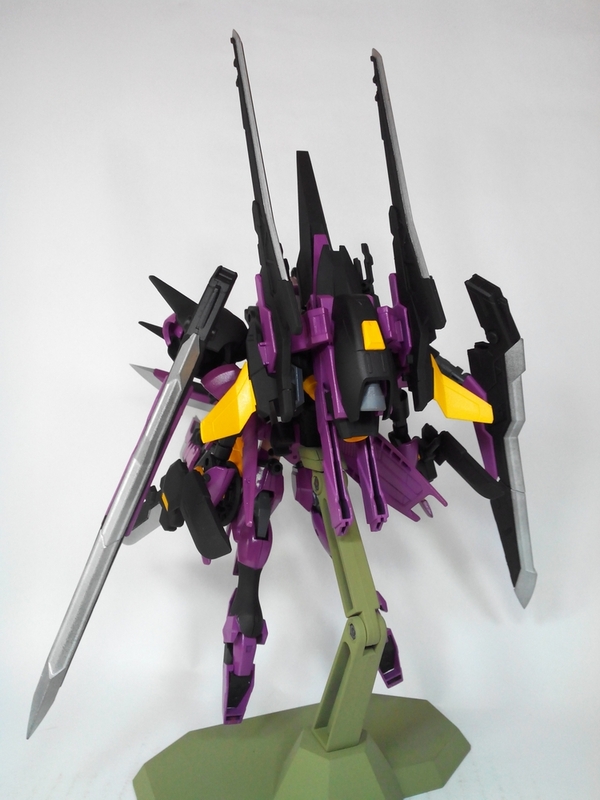 Klinkin wrote: So does that modified Unite Sword actually have a gun mode? 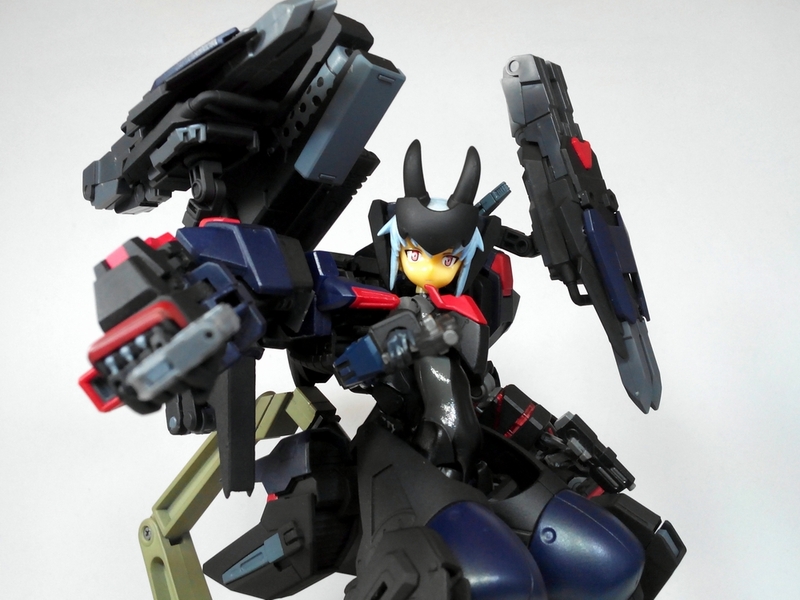 Also, Noire's giant hand is impressive; makes me tempted to get a Balden Arms set to do something similar with an upscale of Eukrante's wrist claws. 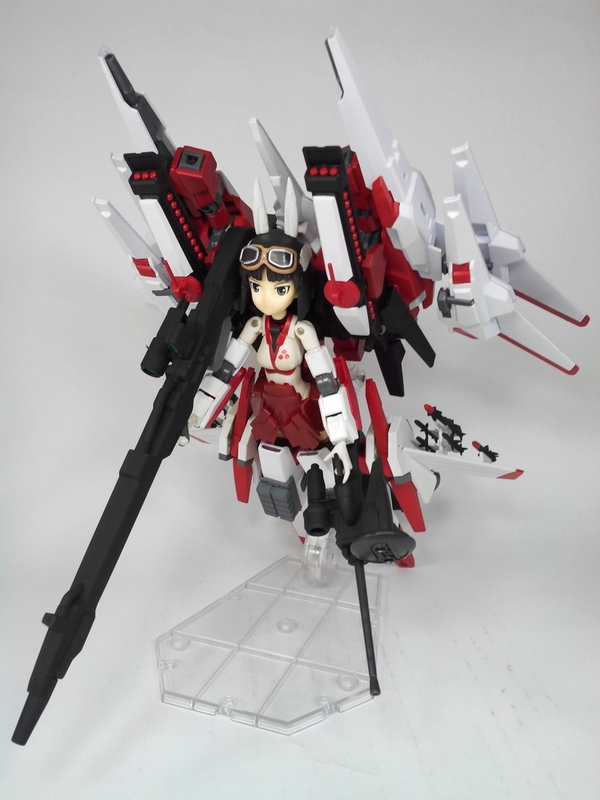 It's a gun-sword, similar to Squall's gun-blade but larger. 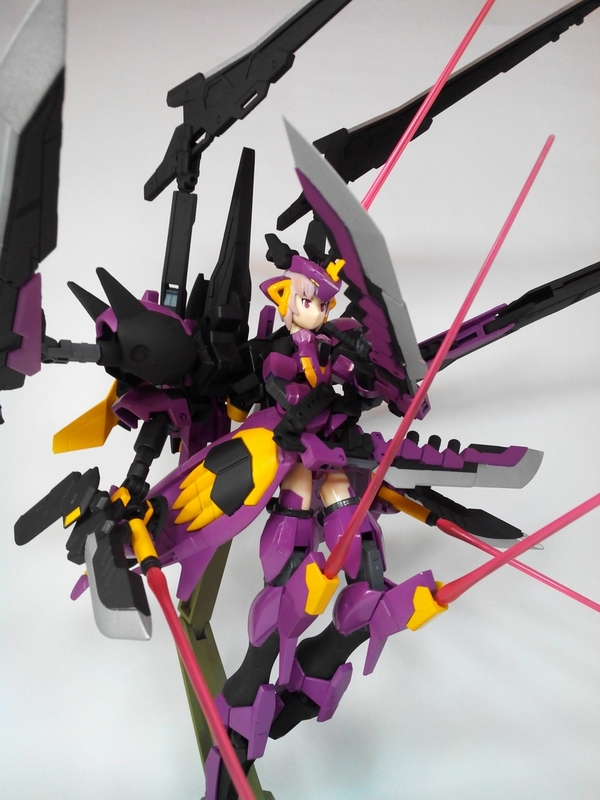 And I don't think I have the know-how to actually make it transform (I want to, really!). 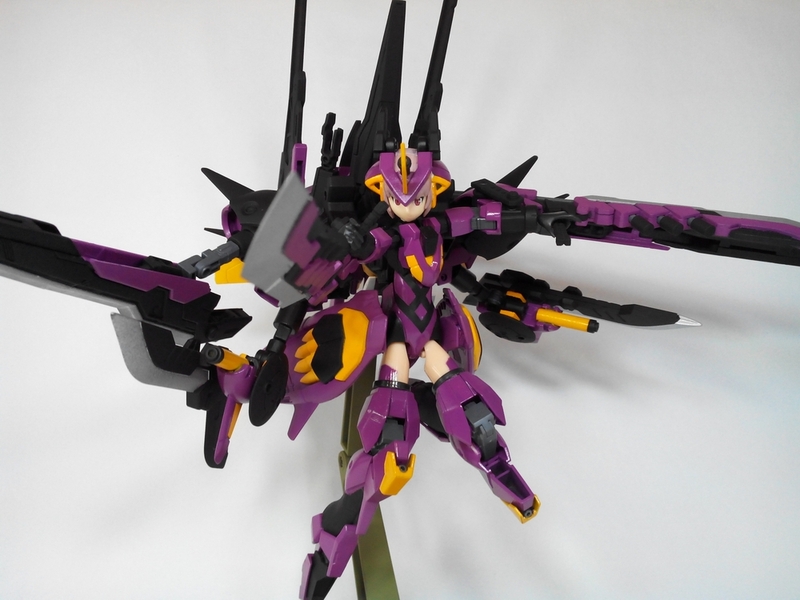 Lastly, we have Hakua. 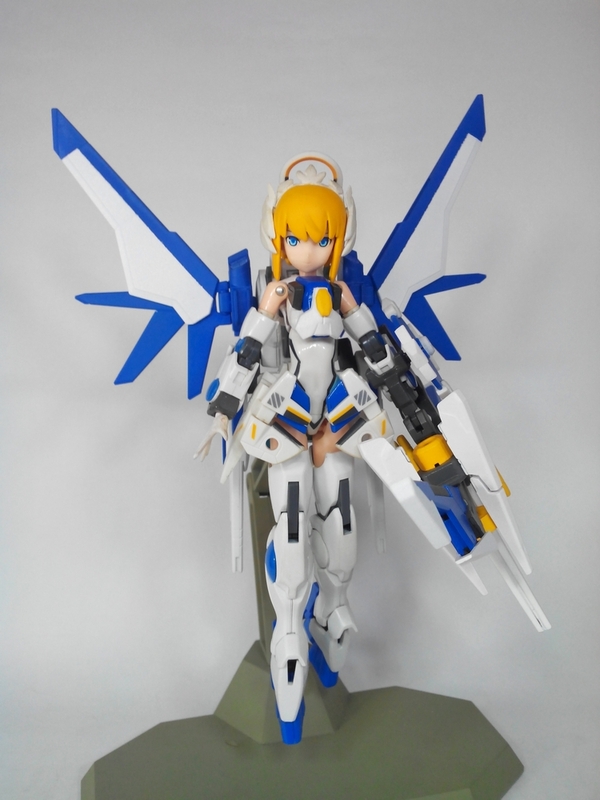 Gave her new headgear, chest armor with built-in cannon and side-skirt guns (Strike Freedom Gundam), and 4 shooting blade bits. 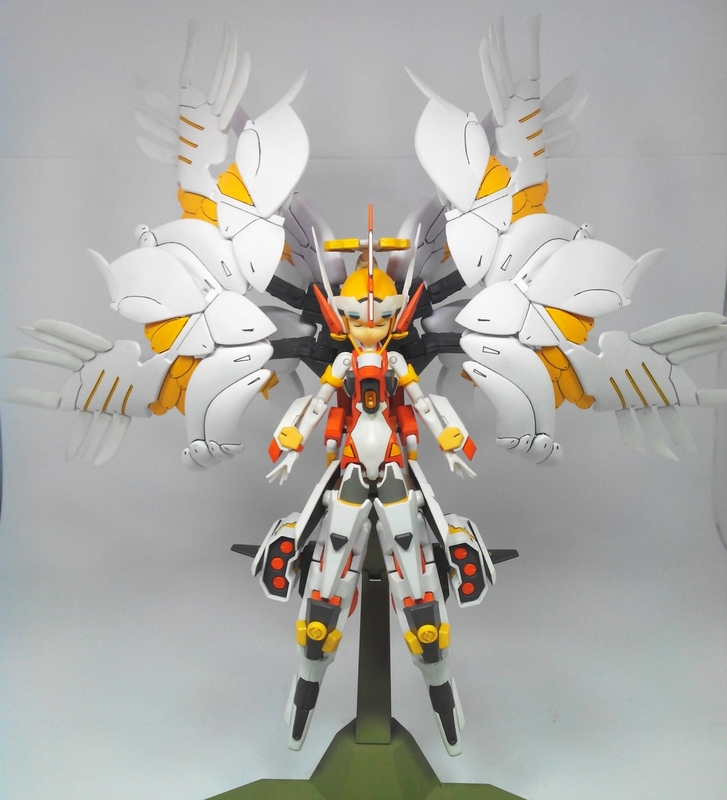 I had to modify my light box because... well... she's just too damn big (her wingspan, that is)!